US futures are pointing to a higher open in the stock market today, after ending mixed yesterday. 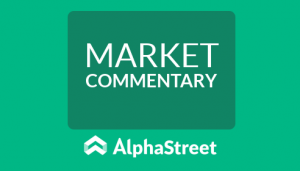 Investors are shedding concerns about higher interest rates and are focusing more on the declining bond yields as well as increasing dollar. The focus will shift to a bunch of upcoming Fed speeches. The S&P futures advanced 0.32% to 2,720.25, Dow futures rose 0.44% to 25,124 and Nasdaq gained 0.40% to 6,815.75. Elsewhere, shares at Asian markets closed higher on Friday, while European stocks are losing ground. On the European economic front, data from Eurostat showed Eurozone inflation eased to 1.3% in January from 1.4% in December. The data from statistical office INE showed Spain’s producer prices rose 0.1% annually in January, down from the 1.7% growth seen in December. Destatis data showed Germany’s gross domestic product increased 0.6% sequentially in the fourth quarter, down from the 0.7% growth seen in the third quarter. On the Asian economic front, consumer prices in Japan grew an annual 1.4% in January, higher than economists’ prediction of 1.3% growth. Producer prices in Japan rose 0.7% year on year in January, lower than economists’ expectations of 0.8% growth, as price decline in leasing, transportation and financial services outweighed a rise in advertising services. 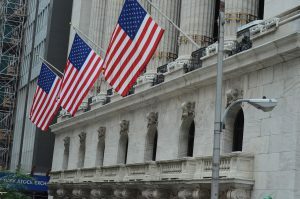 On February 22, US ended mixed, with Dow up 0.7% to 24,962.48, and the S&P 500 inching up 0.1% to 2,703.96. Meanwhile, Nasdaq slid 0.1% to 7,210.09. Investors remained concern on the higher interest rates despite the Wall Street trying to wear off the uneasiness. The US Labor Department jobless claims report showed an unexpected decline in claims for the week ended February 17 by 7,000 to 222,000, lower than the economists’ expectations of 230,000. The Conference Board’s leading economic index increased by 1% in January, higher than the expected 0.6% growth. Meanwhile, the key economic data that will be released today include the Baker-Hughes rig count. New York Fed President William Dudley, Boston Fed President Eric Rosengren, Cleveland Fed President Loretta Mester, and San Francisco Fed President John Williams are scheduled to deliver speeches. On the corporate front, HP Inc. stock rose more than 5% in the premarket after better-than-expected first quarter results. Helios and Matheson Analytics stock rose 1.83% in the premarket after it lifted its ownership of MoviePass. Shares of Hewlett Packard Enterprise jumped more than 12% in the premarket after an upbeat first quarter earnings. Investors are shedding concerns about higher interest rates and are focusing more on the declining bond yields as well as increasing dollar. The focus will shift to a bunch of upcoming Fed speeches. On the earnings front, Eversource Energy, Cabot Oil and Gas, Entergy, Public Service Enterprise Group, Pinnacle West Capital, Royal Bank of Canada, and Cinemark Holdings are the key companies due to release their earnings today. Berkshire Hathaway will release an update on Saturday. Crude oil future is down 0.22% to $62.63. Gold is trading up 0.01% to $1,332.80 while silver is down 0.10% to $16.57. On the currency front, the US dollar is trading down 0.01% at 106.752 yen. Against the euro, the dollar is down 0.19% to $1.2306. Against the pound, the dollar is up 0.24% to $1.399.